Glenn has represented Australia in international Ice Sculpting Competitions including Canada, Japan (9 times), Norway, New Zealand, Belgium and China and has judged international contests in Germany and Canada. Glenn was invited by the High Commission of Canada to design and lead a team of Australian Ice Sculptors to produce a feature exhibition in the centre of Ottawa, in conjunction with their major winter Festival, 'WINTERLUDE'. 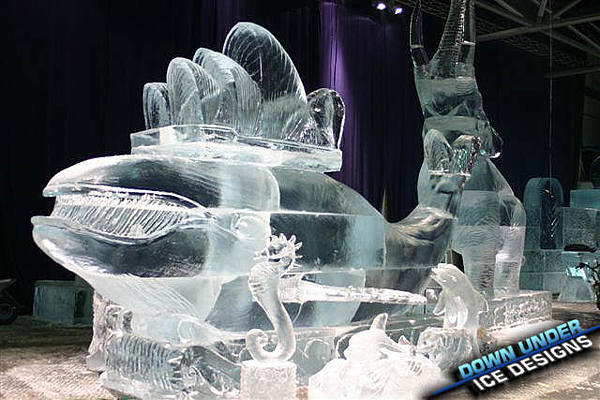 He assembled a team of ice carvers and with his "Gateway to Australia" design and created his own special ice magic. Is it a wave yet?